Warming and pungent spice mix used in Chinese cooking. Made by grinding equal parts of fennel seeds, szechuan peppercorns, star anise, cinnamon and cloves. 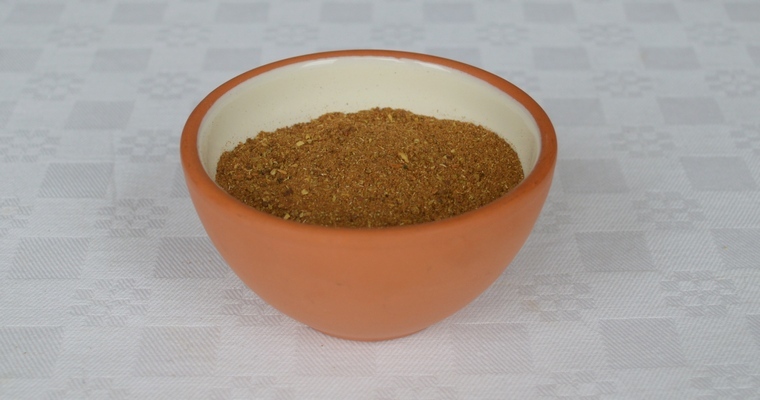 Chinese Five Spice is a sweet spice mix used in Asian cooking. It is particularly complimentary to fatty meats like port or duck, where it can be mixed with salt and used as a seasoning before roasting. It can also be sprinkled over stir fried vegetables or added to baking recipes for some pungent warmth. Heat a small, heavy-based frying pan over a medium heat. Add the whole spices and dry fry for 1 – 2 minutes, or until they release a fragrant aroma. Turn off the heat when done. Tip the toasted spices into a spice grinder and grind until finely ground (if you do not have a spice grinder, then use a pestle and mortar or the small bowl of a food processor). Combine the toasted spices with the remaining ingredients in a clean and dry jam jar / airtight container. Seal, and give the jar a good shake until all the spices are evenly mixed. Store in a cool, dark cupboard. Use within a month for full potency.